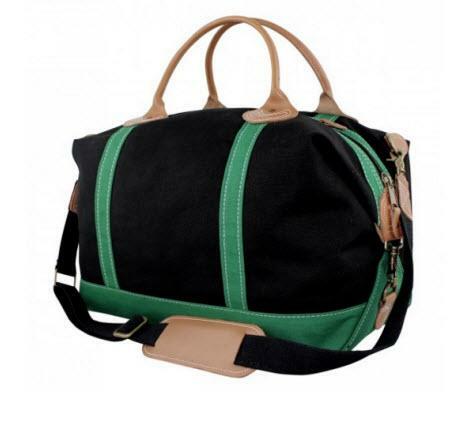 Carry your clothes and all your personal items in style in this heavy duty canvas monogrammed weekender in black and emerald designed to hold its shape. 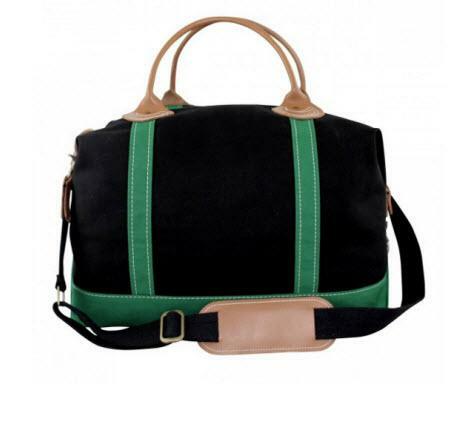 Hold it by its leather handles or carry with by the detachable and adjustable shoulder strap that has leather padding for comfort. 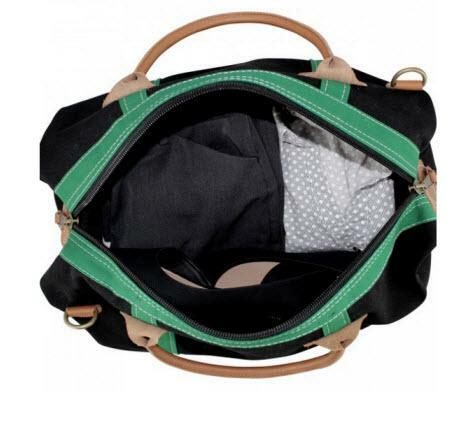 Featuring a zipper top closure to keep everything safe inside, one large zippered pocket inside with two smaller open pockets attached which is great for staying organized. Add your own personal touch by adding your monogram in your choice of font and favorite thread color to make it truly yours and a one of a kind. Great for anyone who is always on the go!